There are some facts and figures from recent home loan research that indicate that refinance loans are about to become more popular than ever and there are some stats you should know that may eliminate any doubts you have going forward. November 2, 2018 - There are some facts and figures from recent home loan research that indicate that refinance loans are about to become more popular than ever in the final months of 2018 and beyond. If you are considering or planning a refinance loan in 2019, there are some stats you should know that may eliminate any doubts you have going forward. A TransUnion credit database analysis report shows that approximately 70 million home owners likely qualify for some kind of home equity loan including FHA Cash-Out Refinance loans or FHA Reverse Mortgages. Are you among the 70 million people eligible for this kind of borrowing power? There is more than 14 trillion dollars reported as home equity in homes across the United States and mortgage trend research also indicates that rising house prices and interest rates will keep more borrowers in their homes. That same research indicates that hand-in-hand with a choice to remain in the home, the decision to renovate or improve that home includes looking at refinance loan choices to get those renovations paid for and completed. It’s true that you can use the proceeds from an FHA cash-out refinance loan toward any purpose you have in mind; A 2018 TransUnion report indicates that debt consolidations, paying off major expenses, and other purposes were listed among the chief reasons to refinance. These trends indicate that for many, a single purpose for the cash-out loan is not as typical. Are you one of the many home owners who could use the proceeds from an FHA cash-out refi loan in several different areas of your life? It’s another strong reason to think about staying in your home and cashing in on the equity. 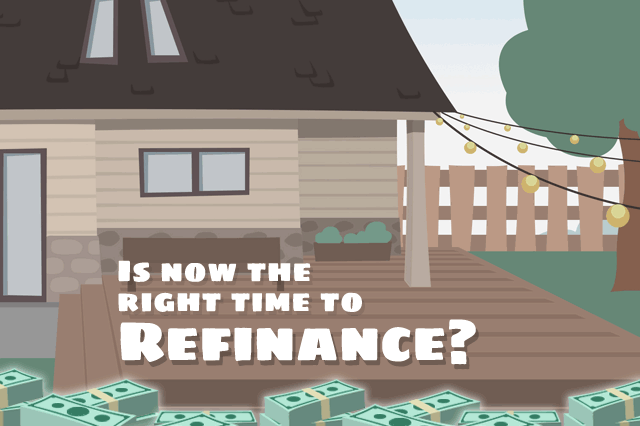 Some borrowers choose the timing of their refinance loans for different reasons. If you are in an adjustable rate mortgage (ARM) and are nearing the end of one interest rate period with a new adjustment due, refinancing out of the ARM before the new rates kick in is a good idea. Other borrowers may eye a cash out refinance loan at a certain point in their current HELOC-when the end-of-draw date gets near, should you consider an FHA Cash-Out Refinance? Is there a monthly cost savings or a lower interest rate available? Important questions to consider if you are in this situation and looking for refi alternatives. Your options for refinancing may get more interesting over the coming months as the demand for refinance loans grows; will a more competitive market result in better terms for borrowers looking to refinance between now and the end of 2019? In some places it may already be happening.